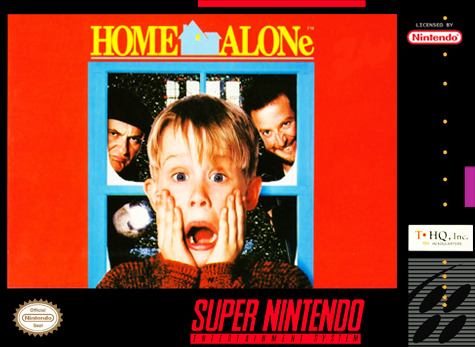 Based on the movie, Home Alone for Super Nintendo has you play as Kevin McCallister as he defends his household against those bumbling crooks, Marv and Harry. But this time, Marv and Harry brought nasty reinforcements! Race through the gigantic mansion and snare the bad guys in wicked booby traps. Uncover the hidden treasures and secure them in the family vault. For 1-2 players.